American Football Without Barriers aims to globalize the sport of American Football, with camps and outreach to underserved communities. Egypt Air and Lenovo are proud to sponsor the 4th annual American Football without Barriers (AFWB) camp and charity visit to take place in Cairo, Egypt, March 2nd thru 5th, 2016. The event is organized by the Egyptian Federation of American Football (EFAF) in coordination with the Egyptian Ministry of Youth and Sports and Egyptian Ministry of Tourism. After successful camps in China in 2013, Brazil in 2014, and Turkey in 2015, 10 top National Football League (NFL) players are heading to Egypt, the first AFWB International camp in Africa. The NFL players working with AFWB are passionate about sharing their professional skills with emerging fan bases around the world and spreading their commitment to service and leadership. 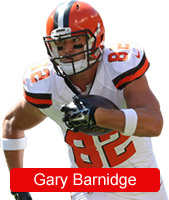 The 10 professional athlete include All-Pro Tight Ends Gary Barnidge and Jordan Cameron, Super Bowl Champions Marshawn Lynch and Breno Giacomini, and one of the NFL’s top running backs DeAngelo Williams. Over the course of two days they will teach on-field technical skill building and leadership to over 450 Egyptian and international American football players and enthusiasts. The players will also hold a Coaches Clinic with in-class instruction and on-field implementation. The week will conclude with an All-Star Football game between the camp’s best players, followed by a concert and party hosted by The Egyptian Federation of American Football (EFAF). As part of their global goodwill tour, the players have designated two days of community outreach and will be visiting the Children’s Cancer Hospital 57357 and LeBaladna which seeks to help Egypt’s underprivileged communities and reform their infrastructure which includes education, health, food supply, and shelter. The NFL players will be hosted locally by EFAF, the International Federation of American Football (IFAF) recognized governing body of American Football in Egypt, and the organizers of the Egyptian National Team. EFAF currently has 7 teams affiliated with their league, with over 400 players, and is a socially responsible organization seeking the expansion, popularization, and the development of both tackle and flag football in Egypt. American Football in Egypt is growing rapidly and just recently held their first international club friendly between the Cairo Wolves and Jordan’s Amman Barracudas. International guests representing all nations across the Middle East and North Africa region will also be participating in this year’s camp in an effort to include and further promote American Football. Media interested in attending any portion of the camp or charity events should make arranges through Todd Buelow, AFWB Board of Director Member (contact below). Members of the Press, with credentials from their outlet, are invited to the Media Press Conference on March 5th. 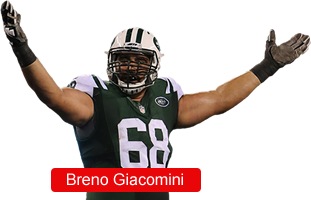 American Football Without Barriers is a non-profit organization dedicated to globalizing American football and reaching underprivileged communities with a humanitarian message. 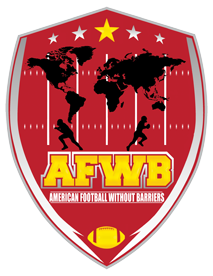 In addition to international camps, AFWB hosts several camps in the U.S. aimed at teaching underprivileged kids to play American football. To learn more about American Football Without Barriers please visit www.afwbcamp.com. This entry was posted on Wednesday, February 24th, 2016 at 3:42 am	and is filed under Blog. You can follow any responses to this entry through the RSS 2.0 feed. Both comments and pings are currently closed. © 2017 American Football Without Barriers. All Rights Reserved.